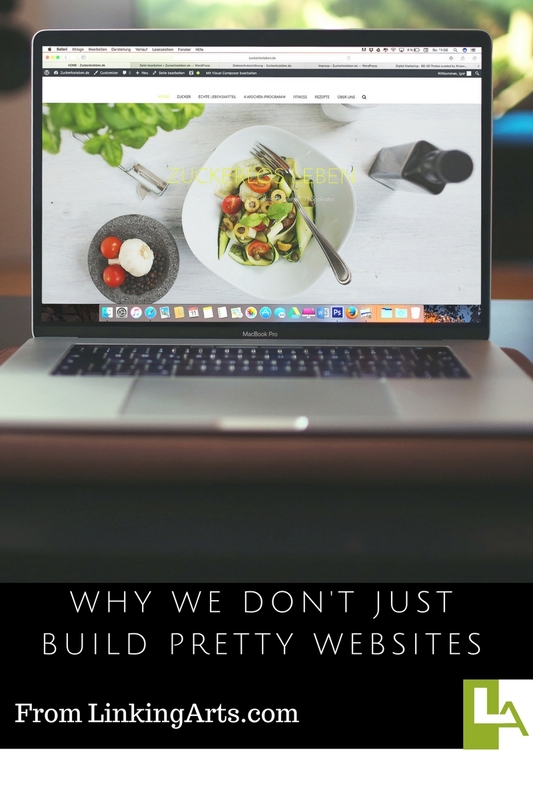 Every business wants a beautiful website. You want your clients to visit your site, enjoy the design and have a pleasurable experience. That’s what we want for you too. In a recent study, design related complaints accounted for 94% of the reasons that users rejected or mistrusted a site. If we focus on just making sure it’s looks great, then you’ll end up leaving out several other key elements that impact your the customer experience. And these elements often factor into whether or not you’ll be able to convert from a visitor to a customer and then to a repeat customer. User interaction is what happens when visitors interact with your site. What happens when they click on certain buttons. Do the buttons work? Are they taken to the appropriate next page? Graphic design focuses more on layout, colors and logo. In order to grow your business you want customers to enjoy looking at your website and using it. User experience is a combination of all the elements that go into impacting how site visitors experience your site. The content (photos, text, etc) matters. The user interface matters. The graphic design matters. The layout matters. The typography matters. All of this determines if a user will not only stay on your site, but return as a repeat customer. We focus on user experience because without thinking about every single interaction your potential customers will have, you might lose them as customers. 3. When potential customers get too frustrated, they move on quickly. If you’re an established company with a great product, your customers will most likely forgive your site quirks or any maintenance issues you might be having. But if you’re new, the expectations might be even higher. They don’t know you’re product or have much faith in your brand (yet), so giving them reasons to trust you is important. And your website is where that trust begins. Is it easy to use? Do they enjoy hanging out there? Is it easy to checkout and purchase something? If the answer is no to any of these questions, then you will need to address these issues. There are several brands out there and customers have choices. Make it easy for them to choose you. If not, they’ll move on. 4. Images without text don’t get the job done. A few years ago we built two websites for an amazing wedding photographer. When we dug into his old website we realized that he had lots of images (they were beautiful), but very little actual text. Note: Text on an image is not the same as actual text on your site. Google cannot read the text on your image. His old site got him nowhere on search engines and our goal was to remedy that. Today, he’s on the first page of search engines for wedding photography in his city and we all learned from this experience. Having a well designed business website is important part of the user experience, but it’s not the whole package. Businesses have to go deeper and solve some of the other issues (user interaction, functionality, search engine optimization) to really create a web presence that helps you grow your business. Want help going from a pretty website to a website that converts?